May 2015 Fish of the Month Entry - Norway Cod! May 2015 Fish of the Month Entry - Canal Pike! Steelhead Pro Fly Rods for Beginners Too! May 2015 Fish of the Month Entry - PB Lure Pike! May 2015 Fish of the Month Entry - Ebbtide Bass! May 2015 Fish of the Month Entry - Gryffe Salmon! The Hottest Thing in Holiday Rods! May 2015 Fish of the Month Entry - Trolled Brown! May 2015 Fish of the Month Entry - First Double! 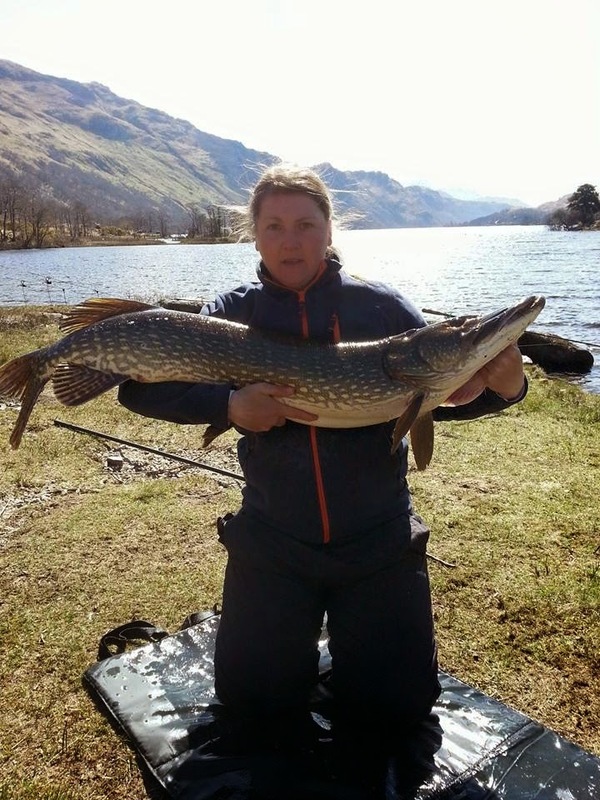 May 2015 Fish of the Month Entry - Venachar Pike! May 2015 Fish of the Month Entry - Stag Do Pike! May 2015 Fish of the Month Entry - Clyde Brownie! May 2015 Fish of the Month Entry - Awe Pike! May 2015 Fish of the Month Entry - Annan Salmon! GAC Fish of the Month April 2015 Winners! Melissa McAleer with her first ever double figure Pike, caught on a Roach deadbait fished on the bottom of a Scottish Loch. You can vote for this picture to win on Facebook by selecting it in our May 2015 FOTM gallery HERE and hitting the 'Like' button! Don't forget to share all your favourite entries to help them win too!